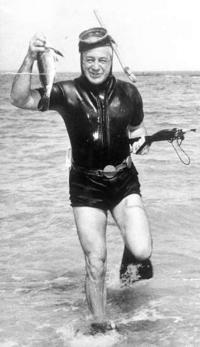 Harold Holt was the Australian Prime Minister when he disappeared. He vanished while swimming at Cheviot Beach, notorious for vicious rips and strong currents. He is presumed drowned but his body has never been recovered. Although he was a strong swimmer he had gotten into difficulties earlier in the year resulting in him being plucked from the water. Holt’s health may have been a contributing factor; he had collapsed earlier in the year and was recovering from a shoulder injury. After his disappearance rumours that he had faked his death to elope with his mistress or that he had defected and been picked up by a Chinese submarine began to circulate. There is a memorial swimming pool in Melbourne named after him.